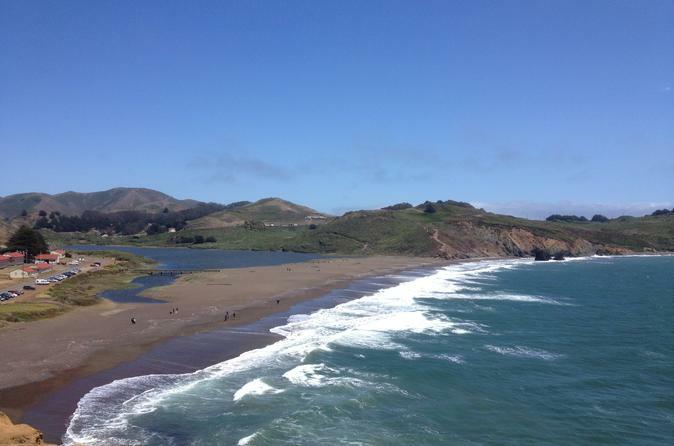 Hike along the dramatic coastline of the Marin Headlands, situated at the northern entrance to the Golden Gate. Climb hillside paths with your guide and stop to admire sweeping views of San Francisco Bay and the Golden Gate Bridge. You'll visit the Marine Mammal Center, Rodeo Beach, and Point Bonita on this 6-hour day trip from the city. Departing any hotel in San Francisco, this 6-hour excursion begins with a scenic drive north across the Golden Gate Bridge. Arriving at the Marin Headlands, embark on foot along the windswept peninsula overlooking San Francisco Bay. Start your hike near Rodeo Beach, part of the Golden Gate National Recreation Area, and climb up into the hills with your guide. During a brief visit to the non-profit Marine Mammal Center, learn about the rescue, rehabilitation, and release of injured seals and sea lions. Then cross the beach and head up the other side of the headlands onto nearby ocean cliffs. You’ll end up at Point Bonita, the entrance to the Golden Gate. If the lighthouse is open, make a quick visit. Be sure to keep your camera on hand for postcard-worthy views, including the Golden Gate Bridge, before the return drive to the city.